SUP JAM Winner & SUP ATX Rep Buck Ashcraft with Mitch Taylor of SUP ATX. 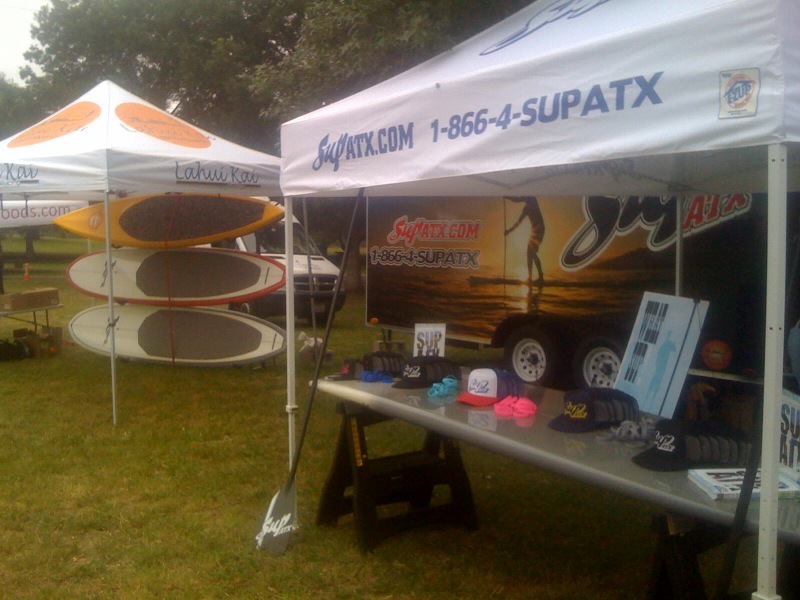 SUP ATX Exhibition Booths. On the Left, the SUP ATX Lahui Kai boards showcased. SUP ATX Main tent on the right. 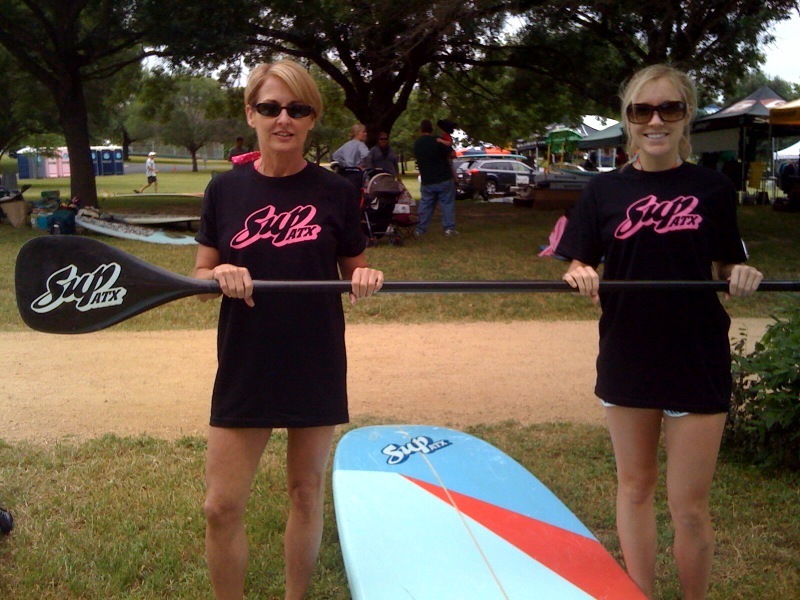 SUP ATX fans showcasing a SUP ATX carbon fiber paddle and a SUP ATX LR1 stand up paddle board in blue. 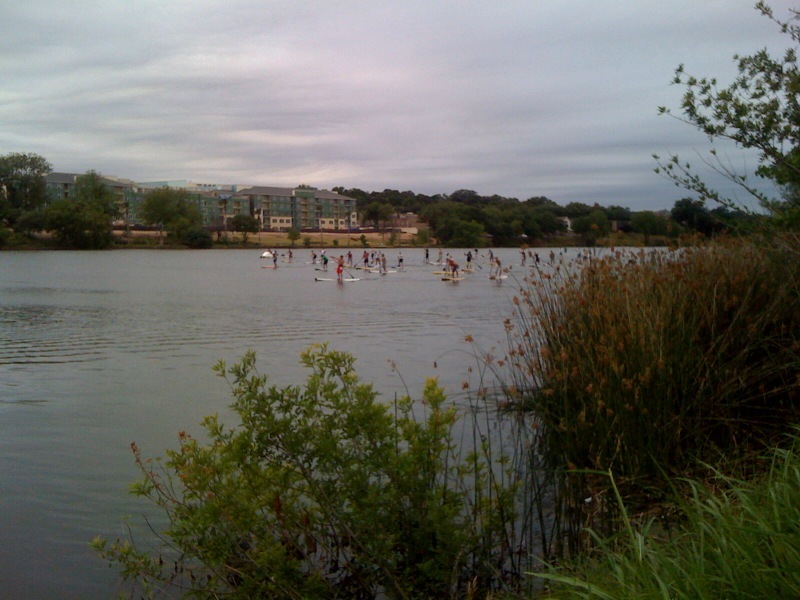 The main SUP Jam race on Lady Bird Lake (Town Lake) with Buck Ashcraft taking an early sizeable lead. 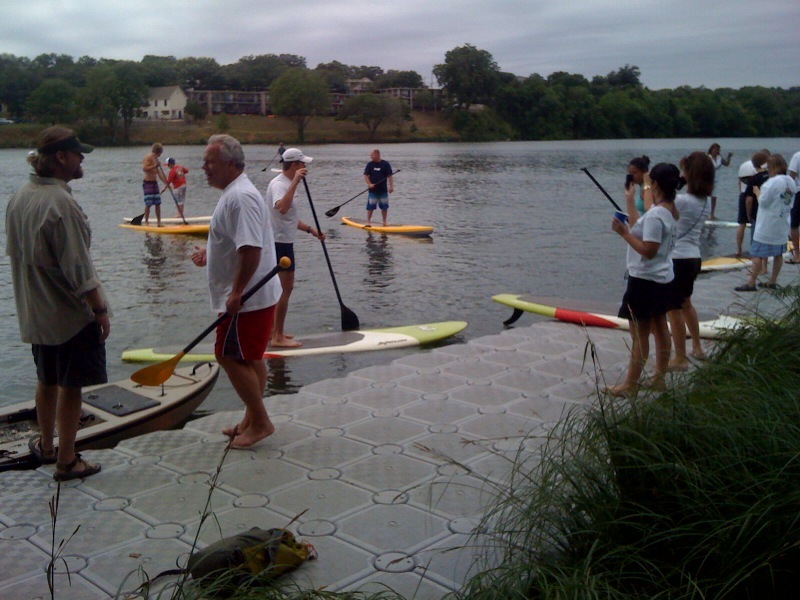 SUP Austin Photos.